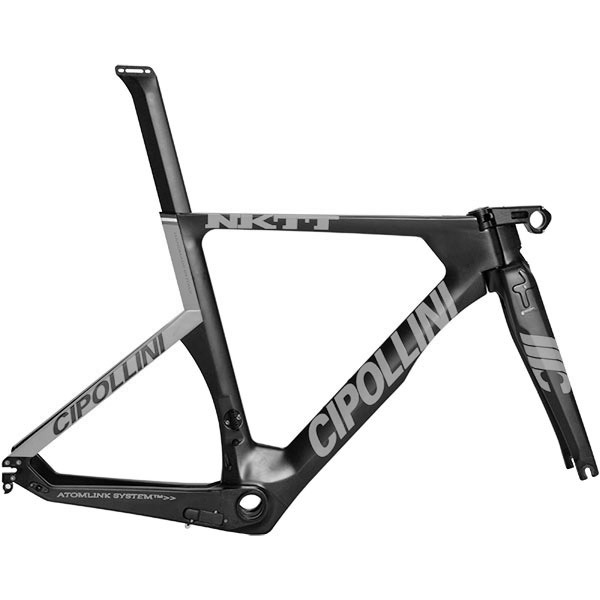 A specialist frame for time trialists and triathletes, which is aggressive, basic and high-tech, developed to be as fast as possible on passes. Built-in monocoque fork, frame with exclusive patented AtomlinkTM triangle-rear axle connection, built-in retractable brakes and seatpost with built-in height-adjustment clamp. Cables can pass internally through the headset connection, which can also be adjusted in height by 12 mm.